Peeters, J., Trotto, A., Peeters, M. (2017) Interactive Thesis: embodying experiential qualities in print. In Proceedings of Designing Interactive System Conference DIS2017. Edinburgh, UK. Abstract: The pictorial track exemplifies how the field of design research explores more designerly ways of communicating knowledge in an academic context. 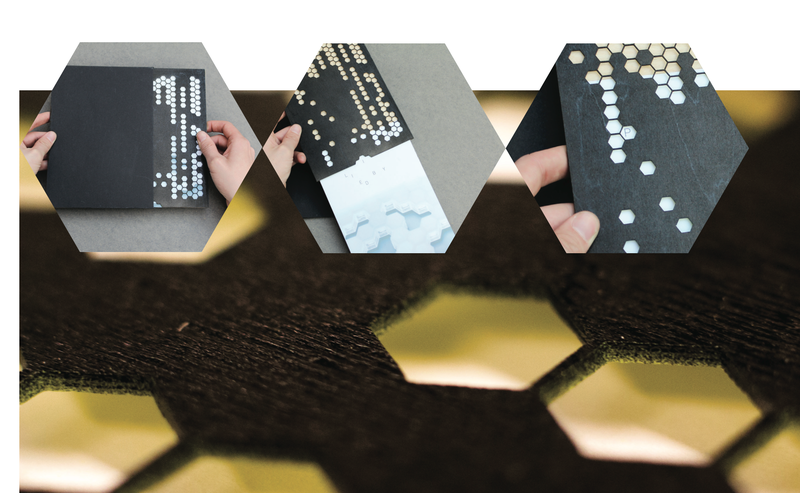 In this pictorial, we present the Interactive Thesis project. The project explores how the design of a Ph.D. thesis may embody the experiential qualities of interactive systems that are presented in its (textual) content. We report on the research through design process and present results from the project’s first iteration. We conclude with reflections that emerged from a public presentation and discussion of the work amongst designers and researchers. Previous DIS2017: [X]Changing Perspectives: an Interactive System for Participatory Sensemaking.